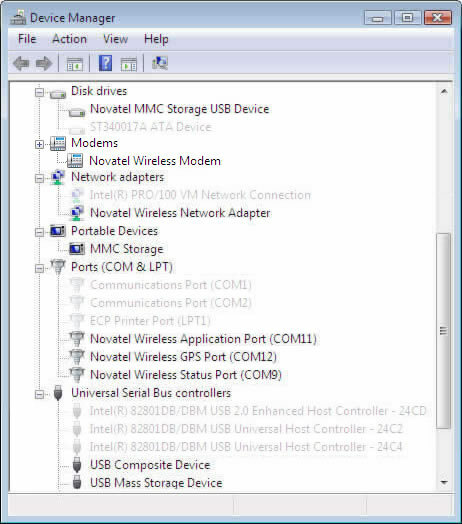 This adapter only appears when NDIS (Network Driver Interface Specification) mode is enabled. If a conflict is present, a red X, yellow ! or yellow ? is displayed to the left of a listed device or may be indicated by a device entry labeled Other Devices or Unknown. 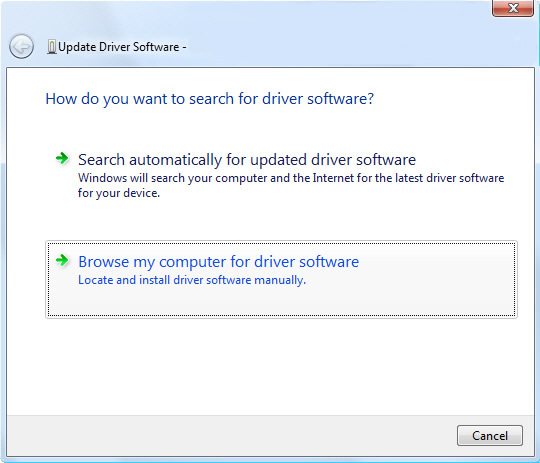 The drivers must be updated or reinstalled. 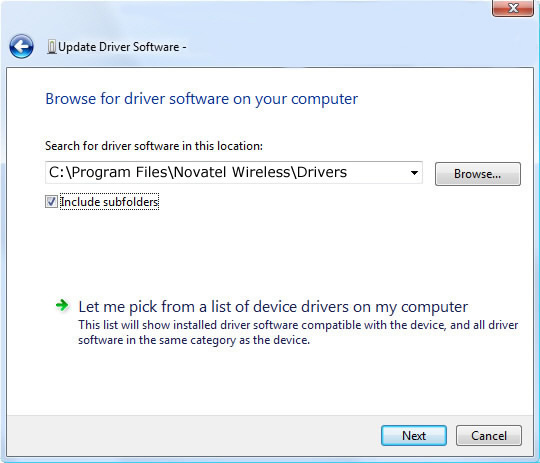 Ensure that the device drivers are installed. Refer to Install VZAccess Manager from a USB device for additional assistance. 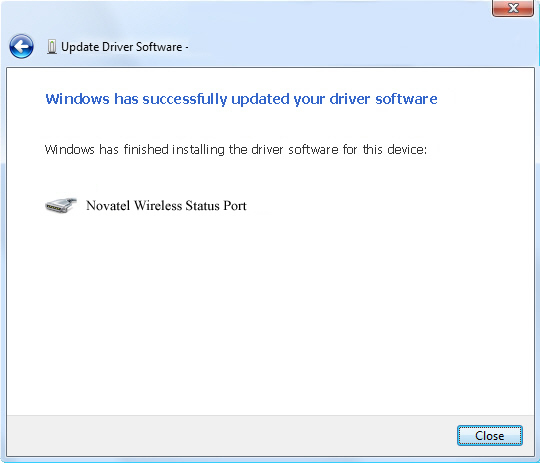 If the device drivers are installed and a conflict is still present, continue to step 2. The device name may differ from the example shown. Enter C:\Program Files\Novatel Wireless\Drivers into the search window then click Next.